For one-off jobs and continued assistance, here at Ricky Tyler Landscapes we can help with your every gardening need, whether it's a business property or a residential home that you need a hand with in Marlow and beyond. 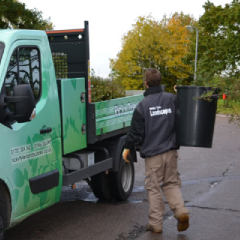 We offer businesses in and around Marlow, Buckinghamshire, services like commercial landscaping and grounds maintenance - the professional touch of our expert staff will ensure that your outdoor space looks tidy and well maintained, creating the right impression for customers and colleagues alike. Take the stress out of regular maintenance like mowing large areas of lawn or trimming unruly hedges. By outsourcing the dirty work, you can stay focused on what's important to you and your business. It's not just commercial properties that we look after though - if you have a garden that's becoming a bit of a handful, we offer a range of domestic services to suit every household. You may have a large garden that's not easy to keep on top of yourself; so let us help you out with a regular garden maintenance arrangement. We specialise in lawn care and turfing, and can keep your green spaces in tip-top condition without you lifting a finger. Our services can also be useful for those with reduced mobility - it's something we all have to deal with as we get older, but a helping hand with the more physically taxing bits of gardening could free you up to tend to your flowers or potter in the greenhouse. We provide our top quality residential and domestic garden maintenance in Marlow, Medmenham, Handy Cross, Hurley and other nearby areas in and around Buckinghamshire. Contact us today to see how we can help keep your outdoor space in check, whether it's commercial grounds maintenance or lawn care and turfing at your home you require. 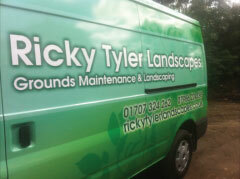 Ricky Tyler Landscapes can provide gardening and grounds maintenance services including Marlow Grounds Maintenance covering Marlow, Buckinghamshire .